Our focus is to provide the highest quality medical, surgical and vision eye care for our patients in a warm and caring environment. Dr.Thomas Lenart, M.D., Ph.D. provides comprehensive eye care (medical and surgical) for children of all ages, as well as adults with strabismus. Dr.Autumn Mantel, O.D. and Dr.Catherina Min, O.D. 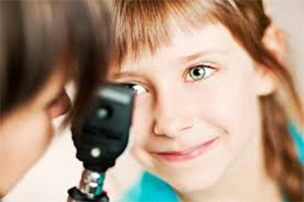 provide eye exams for children, adolescents and adults. Northwest families and referring physicians have trusted our care for over 35 years. We have no higher honor than keeping this sacred trust. We accept most major medical plans, Medicare and Vision Service Plan. Look for us on your plan’s provider list!